Effective Technical Communication And Writing Skills Communication & Interpersonal Skills, Program Training. Good writing skills enable one to respond effectively and confidently. Businesses recognize that the writing skills of employees at all levels affect the success or failure of the company. Thus, it is important that every written or electronic communication presents a favorable image of the writer and the company to the reader. This course develops those skills required for both technical and non-technical personnel to enhance their report writing skills and make them confident writers. Ability To Use Simple And Correct Language To Get Your Message Across. Use Visuals Displays To Simplify Difficult Ideas. Write As Well As Edit Your Writing. Write With Confidence And Move Progressively In Your Report. Define The Report Objective And Plan Out Its Structure. Understand The Need For Proper Structure. Understand Correct Technical Sentence Structure. Understand The Correct Use Of Tone And Tense. Analyze Data And Drawing Meaningful Conclusion. Understand The Importance When Communicate Conclusions And Recommendations Clearly. Use A Clarity Measurement tool. Enhancing Your Presentation Skills Communication & Interpersonal Skills, Program Training. This program is suitable for Managers, Section Heads, Engineers, Supervisors, and Line Leaders. Personnel from production, quality control/assurance and engineering. Level for Managers and above. Handling Customer Complaints Positively Communication & Interpersonal Skills. To identify why customers become ‘difficult’ and the consequences faced by the organization as a result. This two day interactive course will show delegates how to handle difficult situations with greater confidence and skill enabling them to turn it into a long term customer relationship. Participants are encouraged to apply whatever practical and job experiences they have gained to group and class discussions. This course is highly interactive and uses diverse teaching methods (lectures, readings, cases, role-plays, group work, pair discussions, and videos) to accommodate different learning styles. Handling Escalation and Managing Difficult Customers Communication & Interpersonal Skills. High Impact Business Presentation Skills Communication & Interpersonal Skills, Program Training. Regardless of an executive’s level or expertise in an organization, oral presentations are an essential element of every business professional today. Such presentations can be as simple as an informal talk to colleagues or as daunting as an elaborate presentation in front of hundreds of people. Influential Communication Programme Communication & Interpersonal Skills, Program Training. How you are as a person affect your communication skill? How to avoid miscommunication that causes costly mistakes? You thought you were clear in your words and yet people do not get you right! By identifying the fundamental patterns in the way our brain genetically processes the world around us, we overcome misunderstanding, conflict, and wastage of individual and group potential. Awareness of these “Brain Communication” processes gives us the means to maximize our natural gifts and use them to develop “software” for our brain to achieve greater competence across many disciplines, in particular communication skills. Participants will get to do the Colored Brain Communication Psychometric Profiling tool to uncover the genetic processing style of your brain. The purpose is to understand yourself at a deeper level and unleash greater potential in you. Acquire a deeper understanding and awareness of communication skills, processes and concepts. Communicate effectively with people of all types as a result of discovering personal brain profile. Develop self-confidence and enhance self-esteem in dealing with people. Develop capabilities to overcome misunderstandings and minimize conflicts through understanding the brain’s genetic processes. Colored Brain was developed by Directive Communication (DC) Founder, a renowned speaker / trainer and best-selling author, Arthur F. Carmazzi. The DC methodology is a psychology foundation that affects efficiency across any discipline within an organization. It identifies how workforces can tap into and harness the power of their environment and maintain innovation and cooperation. This results-based course will be challenging, thought provoking, informational and inspiring. Participants will use a variety of learning tools, games, real life scenarios and open learning. 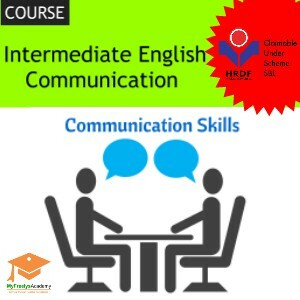 Intermediate English Communication Communication & Interpersonal Skills. This program introduces to English verbal communication, written and reading. The participants will take away a wealth of knowledge for a business and social environment. Demonstrate cognitive and language proficiency for an effective daily business environment. All levels of staffs communicating in intermediate English. However, the program can cater to learners with basic command of English with longer duration of complete immersion of English communication. Knowing The 5Ws And 1H, To Get The Right Answers.